St Patrick’s Day is just around the corner and we’re all ready to join in the lively Irish celebrations at Switch. This is not one to miss! Even better, 50p from every ticket sold will contribute to the RAG Big Give total. Event brought to you in conjunction with RAG and in aid of the Union’s charitable activities. 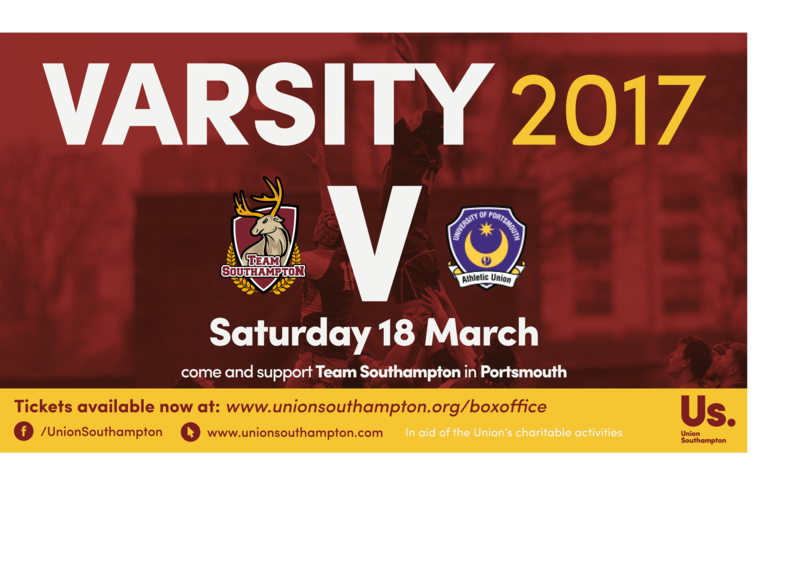 Every student in Southampton’s favourite night out is back! 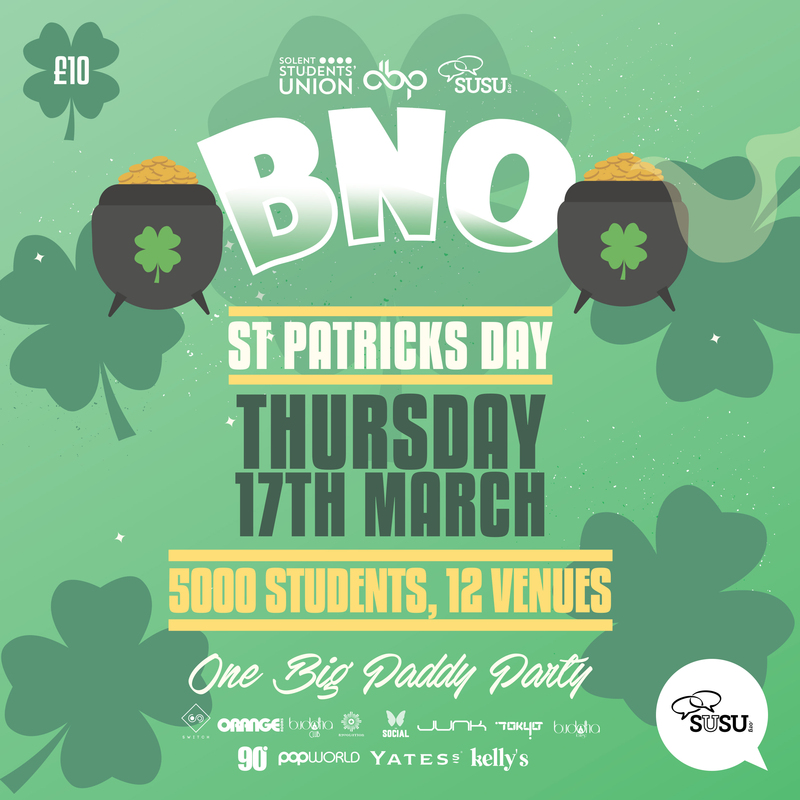 Don your t-shirt, grab your friends and join thousands of other students for the city’s BIGGEST bar and club crawl…and this time it’s with a St. Paddy’s Day theme! 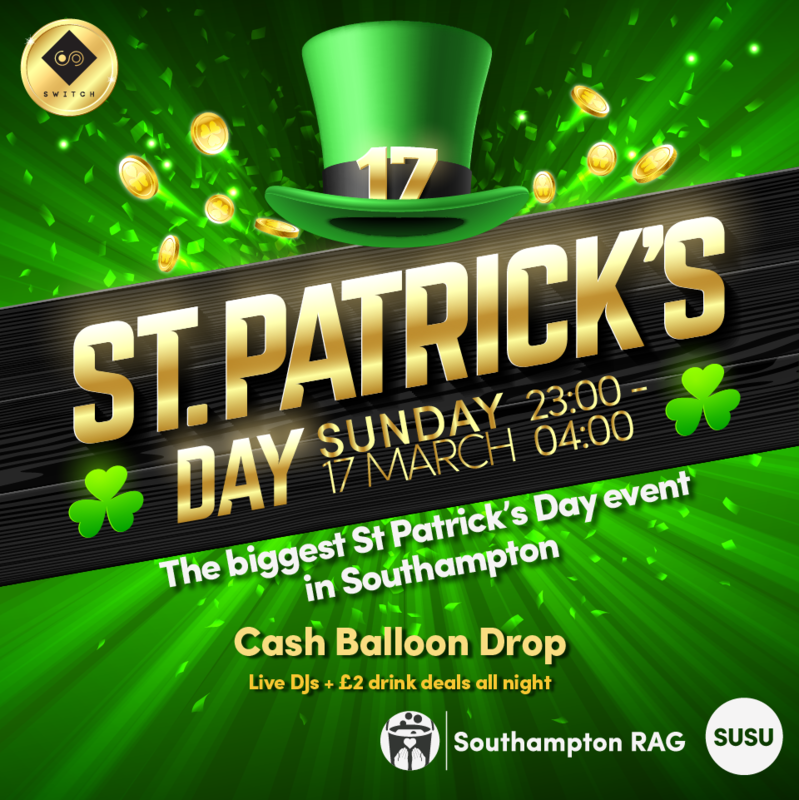 After the success of the Halloween BNO, which saw 5,000 of you tear up the streets of Southampton to party the night away, we decided to celebrate St. Patrick’s Day in style with a suitably great (and green!) night to remember. You can expect LOADS of free Guinness giveaways, live bands and plenty of Irish charm!